1). 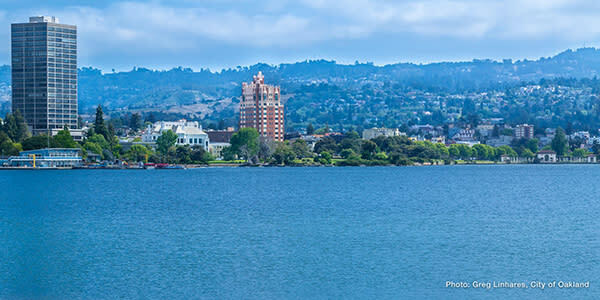 What&apos;s your favorite chill spot in Oakland? I love taking my family out to Lake Merritt on weekends. With the weather we get here in The Bay, plus the lake and the people, I love it. The diversity is what I miss when I&apos;m away from home. 2). Is there another Oakland athlete that reminds you of yourself? Steph Curry- when you look at him, he doesn’t blow you away, but he gets it done. People get out there on the court against him and they realize "he’s better than I thought, he’s stronger than I thought." That’s been the story of my whole career. I don’t have bulging muscles, cauliflower ears, all these scary things. I just look normal, but when we get in the ring I just turn a switch and get it done. 3). Where do you like to train in The Town? A secret workout that I do is Pilates. I&apos;ve been going to "The Working Body" off of Grand Ave for years. The staff is great & the people there come from all different walks of life. Great place to workout. 4). What do you miss the most about Oakland when you’re away? I miss just being able to drive through Oakland with no particular place to go. East, West, North, Downtown, the whole city. There is so much to see, so much to reflect on as I ride and watch people go about their everyday lives. This is the beauty of Oakland, no matter where you go in the city, there is character. I&apos;m big on character! 5). Do you have any Oakland go-to spots? 6). 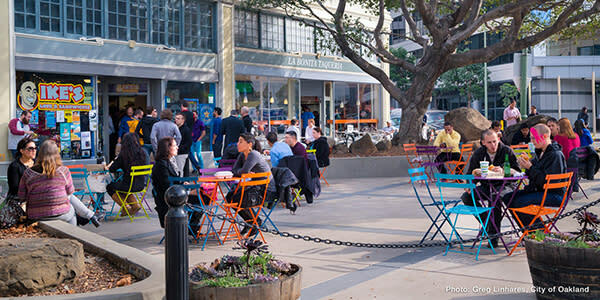 Where do you like to eat in Oakland? 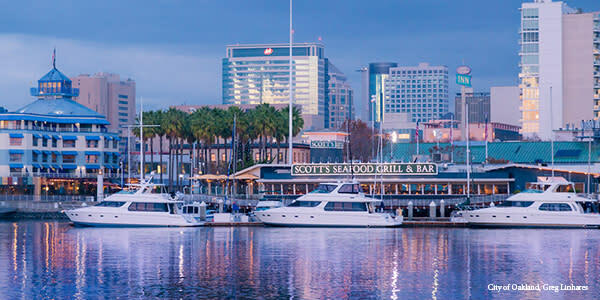 I love eating and hanging out around the waterfront in Jack London Square. What is there not to like about Jack London right? Beautiful scene right by the water, awesome food, and a wonderful place to walk around with the family after your done eating.